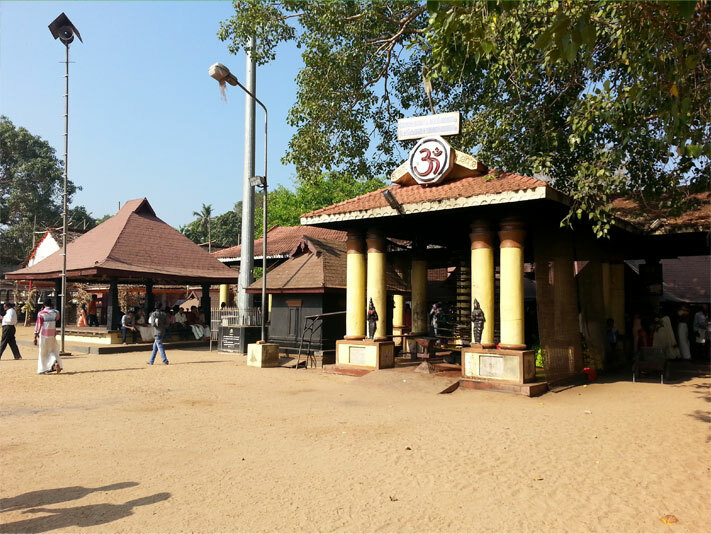 Chettikulangara Sree Bhagavathi temple is a famous temple located in Chettikulangara in Alappuzha district. This temple is around 1200 years old. This temple gets huge income and stands second place in it. The income is accounted to several crores per year. It comes under the control of the Travancore Devaswom Board. An attraction of this temple is the oil lamp called as ‘Kathuvilakku’ that can light more than 1000 wicks which is the largest of its type in India. The deity here is goddess Bhagavathy and an important feature of this temple is that here the deity is Saraswathi Devi in the morning, Lakshmi Devi in the afternoon and Bhadrakali Devi in the evening. The grain that is offered to the goddess is used for preparing Appams and other prasadams. Besides the deity of goddess, there are some sub deities or the Upadevathas. Some of the Upadevathas are Yakshini, Ganapathi, Nagarajav, Naga Yakshi etc. Some of the major festivals in this temple are Kumbha Bharani, Ethirelpu Ulsavam, Kettukazhcha, Kuthiyottam, Aswathi Ulsavam etc. The main festival here is the ‘Kumbha Bharani’ which is held on the day which has Bharani star of the Malayalam month Kumbha which falls in the months March/ April. The main features of this festival are the Kuthiyottam and Kettukazhcha. The procession for Kuthiyottam starts early morning and the Kettukazhcha is done in the evening. As a part of this festival the ‘Bharani Chanda’ will be held. The annual temple festival is called as the ‘Ethirelpu Ulsavam’. This starts 10 days after the Kumbha Bharani and lasts for 13 days. Another festival called as the Aswathy Ulsavam which is held in the Malayalam month Meenam attracts a huge crowd.